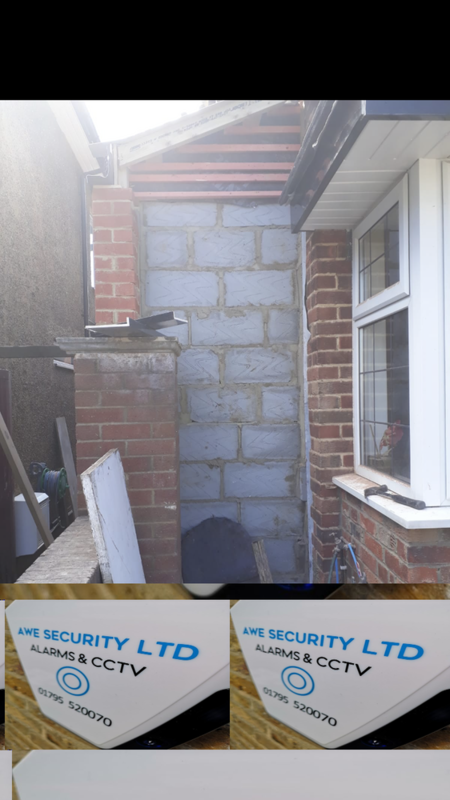 I need a bricklayer to lay down some bricks to a front wall of a side extension size is 4 feet wide and 9 feet in height ( see pictures). 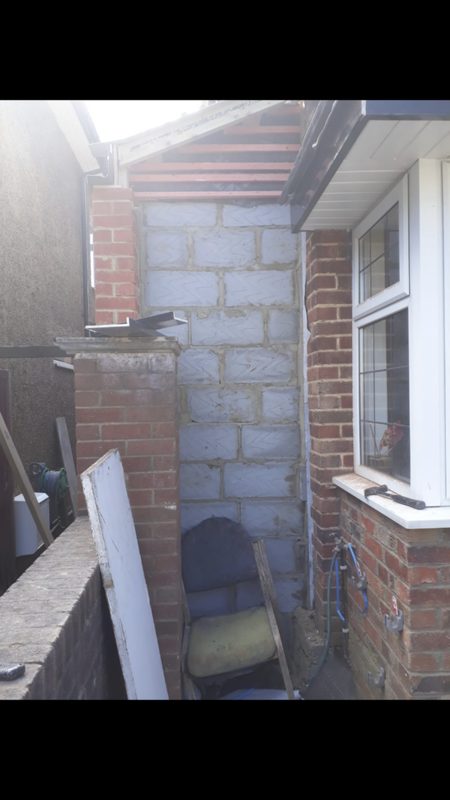 All materials are at the site just need someone to lay the bricks down. I need it done ASAP. Please reply back only if you can give a quote. 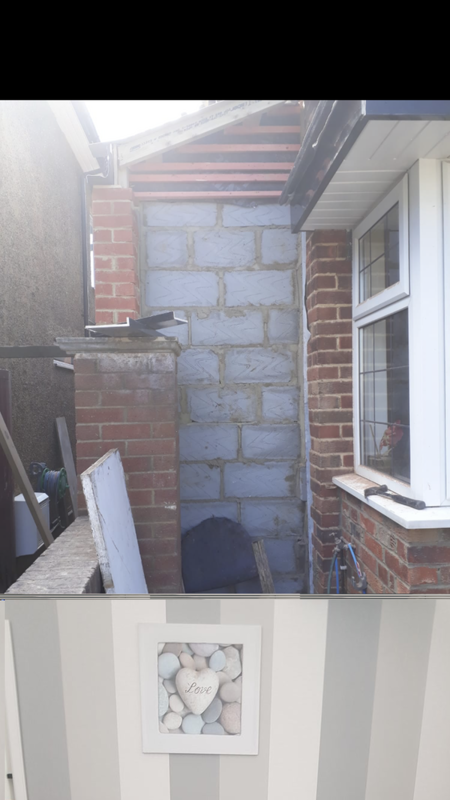 I need a bricklayer to lay down some bricks to a front wall of a side extension size is 4 feet wide and 9 feet in height ( see pictures). Single brick wall only. All materials are at the site just need someone to lay the bricks down. I need it done ASAP. Please reply back only if you can give a quote. Mario was on time and very professional. I was very happy with the work and would definitely use him again.